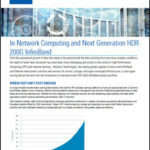 Working with Big Data can bog down even the fastest system networks. With a mission to speed up analytics, the High-Performance Big Data (HiBD) team at Ohio State University has released RDMA-Apache-Spark 0.9.1. HiBD packages are being used by more than 135 organizations worldwide in 20 countries (Current Users) to accelerate Big Data applications. As of Jan ’16, more than 14,450 downloads have taken place from this project’s site. Sample performance numbers for RDMA-Apache-Spark using benchmarks can be viewed by visiting the `Performance‘ tab of the above website. All questions, feedback and bug reports are welcome. Please post to the rdma-spark-discuss mailing list (rdma-spark-discuss at cse.ohio-state.edu).